Before transitioning to a gluten free diet, we used to love bagels. And we do mean love them. There’s nothing quite like stopping by a bagel shop on a busy morning and walking away with a brown bag of toasty warm bagel topped with a healthy slathering of cream cheese. While those trips to the bagel shop have had to come to an unfortunate end, my love for bagels remains. Except now the only bagels I eat are the one made from scratch. Considering how deliciously satisfying these are, the process is really quite simple and just as tasty. 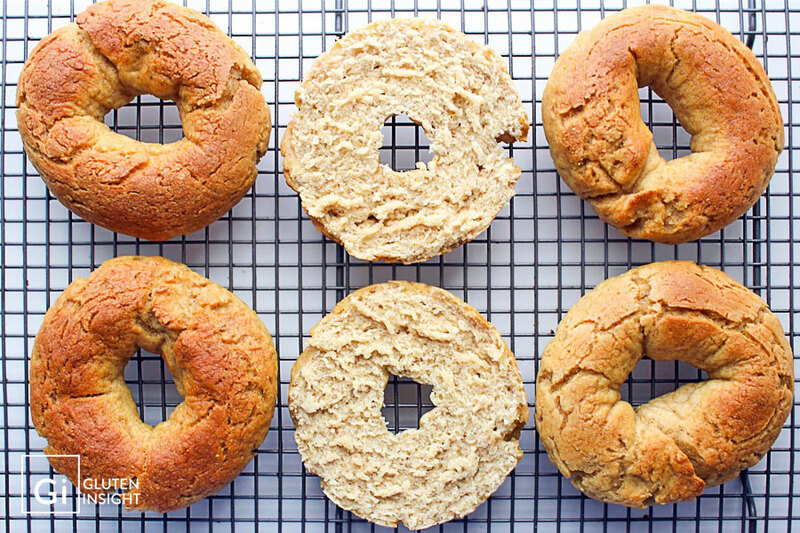 If you’ve never attempted to make your own gluten free bagels at home, don’t be intimidated. The process takes less than an hour and a half from start to finish – most of that time is spent allowing the dough to rise and bake. 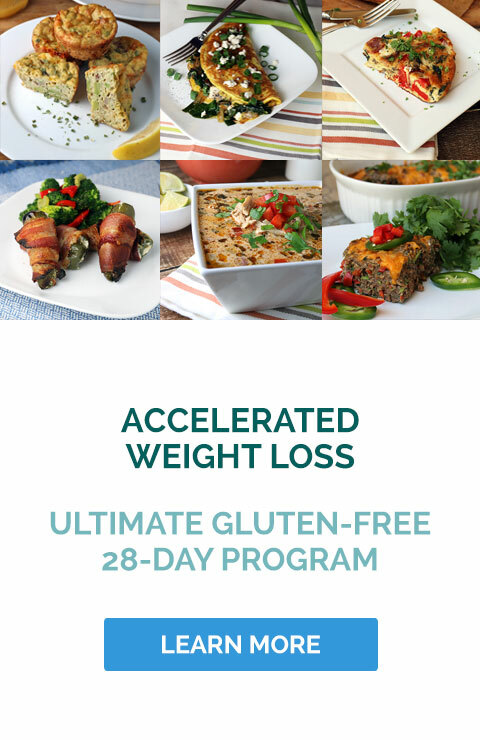 Enjoy these within a couple of days and freeze the extras for later up to three months to enjoy when the cravings strike. Adjust oven rack to middle position and heat oven to 200°F. Once the oven reaches 200°F, turn it off. This will make for a warm environment for the dough to proof in. Line a large baking sheet with parchment paper and set aside for later. In a medium sized mixing bowl dissolve the sugar in the warm water. Mix in the yeast and let sit until bubbly, about 5 minutes. Whisk in the melted butter. In a large mixing bowl whisk together the oat flour, all purpose flour, xanthan gum, salt, and baking soda until fully combined. Slowly pour the yeast mixture into the dry ingredients. Use a wooden spoon to mix. Scrape down the sides of the bowl as needed and keep mixing until the dough has come together. It should be slightly stiff at this point. Divide dough into 6 equal pieces. Working one at a time roll the dough into a 9-inch-long rope. Form a circle by bringing the ends together, overlapping the ends by 1 inch. Gently pinch ends of dough together to seal and then transfer to the prepared baking sheet. Repeat this on the remaining dough. Heat oven to 425°F. In a large pot, add the 4 quarts water and baking soda and bring to a boil. Working one at a time, carefully drop the bagels in boiling water and boil for 10 seconds. Flip the bagels over in the water and boil another 10 seconds. Use a slotted spoon to remove the bagels from the water and place them back on the baking sheet. Place the baking sheet with the bagels in oven and bake for 15 minutes. Reduce oven temperature to 350°F, rotate sheet and continue baking for about 15 minutes until the tops are golden. Remove the bagels from oven and transfer to a wire rack and let cool for at least 10 minutes before serving. If you don’t have any oat flour on hand you can make your own in the blender or food process. Just add rolled or old fashioned oats and blend until you get a powder like consistency. It should take no more than 60 seconds in a blender - less time if you’re using a food processor or high powered blender. Store in a ziplock bag and freeze up to three months.